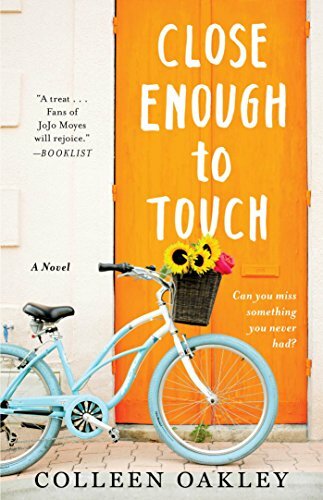 I will not lie...again I knew nothing about this book when I added it to my TBR list. Then my husband bought it for me as a gift and sadly he bought it in December of last year. Let me just start with, I should of read it the day I got it! Close Enough to Touch warmed my heart! It is heartbreaking and sweet all in the same breathe. Jubliee is allergic to the human touch and as you are sitting there thinking is that even real?! I am not sure but Colleen Oakley will having you believe that it is real. Eric and Ari are the other characters in this book and they need Jubliee just as much as she needs them. There is so much more that I want to share but I can't because if I do, I will ruin it for you. Please know that if and when you pick up this book you will not be able to put it down. 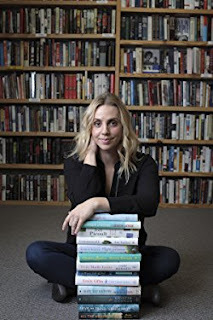 Colleen Oakley’s debut novel Before I Go was a People Best New Book Pick, an Us Weekly “Must” Pick, a Publisher’s Lunch Buzz Book, a Library Journal Big Fiction Debut, and an Indie Next List Pick. Formerly the senior editor of Marie Claire and editor-in-chief of Women’s Health & Fitness, Colleen’s articles, essays, and interviews have been featured in The New York Times, Ladies’ Home Journal, Marie Claire, Women’s Health, Redbook, Parade, and Martha Stewart Weddings. She lives in Atlanta with her husband, four kids, and the world's biggest lapdog, Bailey.